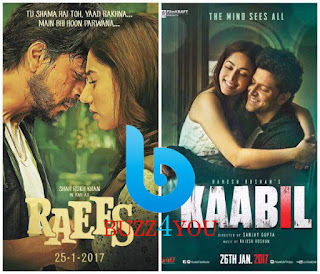 Raees did very well on its second day as it grossed 26 cr nett plus making it the highest collections ever on Republic Day beating the figures of Jai Ho in 2014. The growth from the previous day is 30% which is good as the opening was strong. The two day total for the film is 46.50 cr nett and business is strong all over barring Delhi city and East Punjab. Kaabil (Hindi) showed huge growth on its second day due to the national holiday for Republic Day. The film grossed 15.50 cr nett and was around 90% up from the previous day. This has taken the total of the film to 23.50 cr nett in two days so despite the huge growth the business is still on the lower side.